6th annual Beaver Valley Banked Slalom is going down on March, 24th! 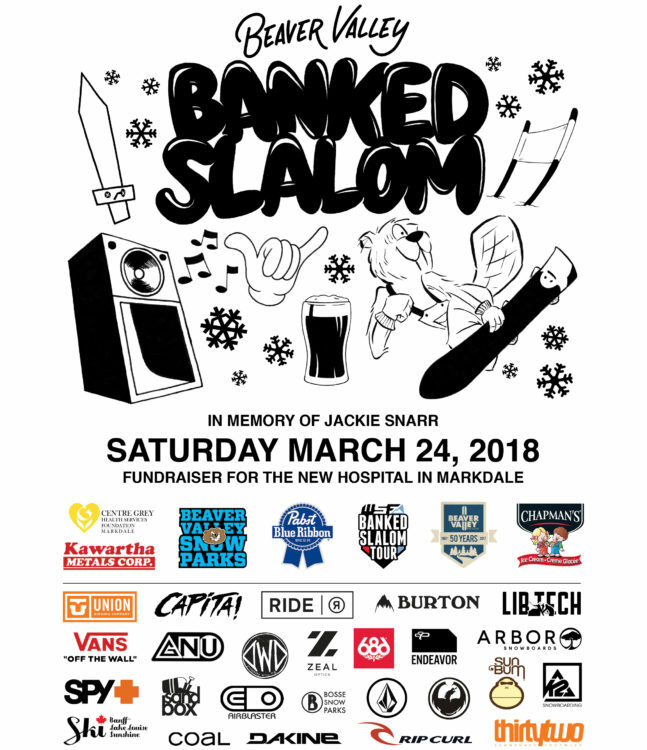 The 6th annual Beaver Valley Banked Slalom, Ontario, Canada’s annual spring snow, end-of-season snowboard gathering returns Saturday March 24 for an epic day of boarding, bands, bbq and beers! Canada’s leading Banked Slalom and part of the WSF World Banked Slalom Tour, this year’s event is anticipated to be one of the biggest yet with the forecast calling for spring snow and sunshine! Don’t miss the chance to chase your friends through the banks and berms in your age category and see how your time stacks up against some of Canada’s best park riders, racers and shred legends! Plus fun park laps all day long in Ontario’s longest top to bottom snow park just rebuilt freshly for the Beaver Valley Banked Slalom weekend! Snowboarding’s biggest deck party apres kicks off at 1pm featuring live music, bbq, beers and over $5000 in prize draws for a great cause. 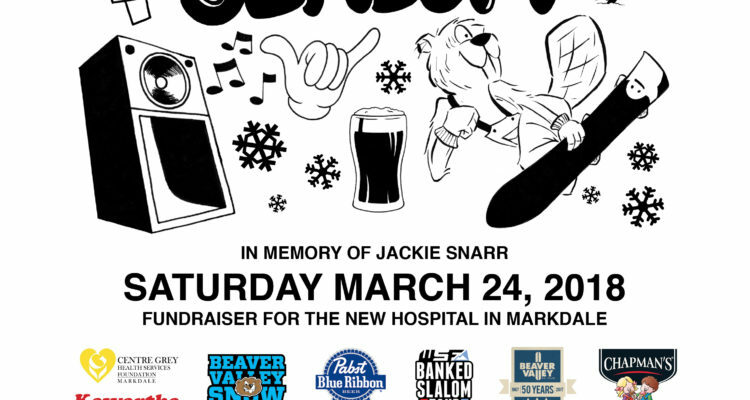 In memory of Beaver Valley snowboarder, Jackie Snarr, the proceeds of the Banked Slalom will be donated to the Centre Grey Health Services Foundation, specifically to the building fund for the new local hospital in Markdale. New for 2018 is a Hip contest in front of the base lodge; a free mini banked slalom course for 10 & under riders; a mini-shred hike park. The Beaver Valley Banked Slalom is a freeride (soft boots only) public event with categories for all ages. Entry is open to riders on a first come basis. The best of two runs counts.